IP Video Streaming Subsystem | Socionext Inc.
With the spread of the Internet, demand for video streaming is exploding. Typical examples are media servers for downstreaming and network monitoring cameras for upstreaming. In such target areas, Socionext carries out fragmentation and IP packetization of video data after codec processing, significantly reducing the processing load of the main system. This subsystem encapsulates video and audio data into an IP packet and encapsulates the IP packet into an Ethernet frame. 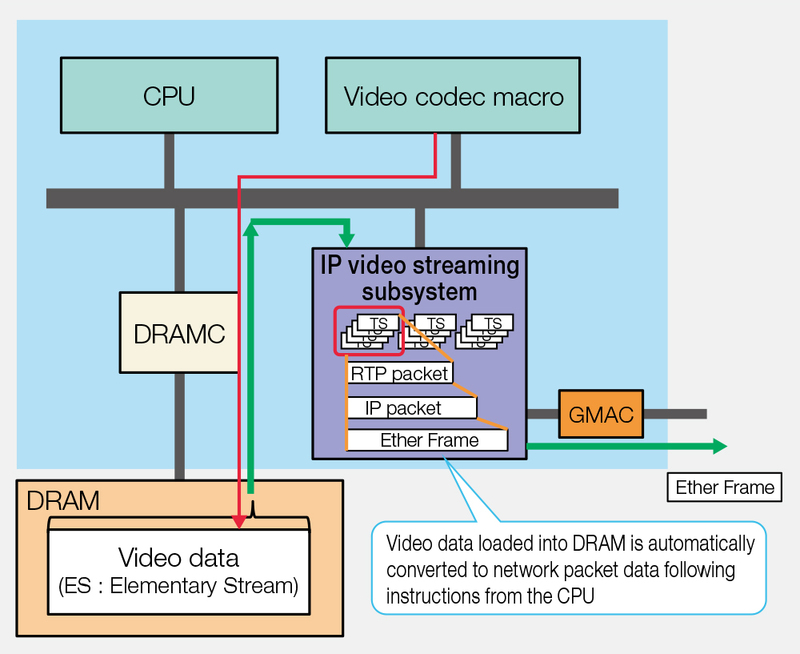 The high-performance IP macro executes the following series of processes just by placing data after codec processing.